The problem is that we have been force fed incorrect information based on erroneous research for 40 years by doctors, nutritionists and health organisations – and I don’t think it is going to be easy for them to look at the new evidence to find out how wrong they are. In Australia the Australian Heart Foundation is still recommending that we eat margarine and vegetable oils and low fat. I did a short health course through work and the nurse running it told us about an 85 year old farmer who dropped dead suddenly – her comment was it was probably from eating all that fat and cholesterol! At 85 years old I don’t think so!! My question isn’t so much which way of dieting lowerers or raises, LDL, HDL, Tris, small particle vs big particle, etc…. my question is which way of eating ADDS plaque and which way of eating REDUCES plaque. As I posted elsewhere, I find both Dr. Davis and Dr. Esselsteyn quite persuasive and convincing , though the only thing I think they overlap in common with is cut refined sugars and eat a lot of veggies and fruit (Davis says up to but no more than 4 pieces of fruit). How hard is it to isolate sat fat proponents and scope/cat scan their arteries for plaque, and isolate low fat proponents and do the same? Wouldn’t that settle this argument once and for all? Chris – thanks so much for your blog and podcasts. I’ve learned a lot from you, but best of all, I can feel confident passing your articles along to friends, family, and colleagues as it’s always well-written, well-researched, and backed up by published studies. Did he exercise? Did he change his lifestyle? How plant-based was his diet? Did he use real food from a SAD of processed crap (and recall, that “real” grass fed meat and eggs contain the omega 3 and vitamin B that he had to supplement)? For that matter, was he locked into a room with all of his meals provided to him (See, for example, the A TO Z study(Gardner, et.al. published in JAMA): Sure Ornish seems to work, but the diet is so dull and boring that most people fall off of it rather quickly)? And did he develop the pedantic attitude and irritability that so many vegans have? This isn’t entirely fair to Keys (as much as I love Fathead). Keys didn’t actually think there was a link between cholesterol and heart disease, and the chart we’re so used to seeing associated with him was from a completely different study. His research was actually better than most of us think, it was just innately flawed because of the conventional wisdom. The real enemy here is the Pr spin of hiss work. The media and other agencies took it and ran with it in a direction he never intended (sound familiar?) and now we all “know” that Keys created the lipid hypothesis as it exists today just like most people all “know” that fat makes you fat and sick. HI Chris..I just love your work and I try to eat pretty Paleo and low carb. My doctor was singing the praises of Caldwell Esselstyn’s diet which Bill Clinton follows. Ugh..no oil at all (olive or coconut), no fish, no meat, no dairy..basically it’s premise is 180 degrees of what we believe. It’s so hard to know if the studies are correct. I would love for you to see these videos and follow these vegan people and some of their videos. They push grains, beans, veggies and fruits..all carbs with plenty of fructose. Yes, it’s the vegan agenda. They are 180 degrees from Mercola and the Paleo crowd that I follow. What do you think is going on here? Can any of this be true? The second one takes some time, but all of this just baffles me. Who can we really trust or believe anymore? Thanks for posting this great video and for the plethora of information you provide here for people who really need and want it. These people who post their nonsense tend to be vegans or veggies who care more about protecting animals than what is best for human health. I stumbled on this. I am neither animal-loving nor a lifelong vegetarian. I am a 44 yr old female physician with newly diagnosed heart disease who did my reading and research and the results for Esselstyn and Ornish are overwhelmingly positive. So literally the day before my diagnosis I was eating everything – animal, fish egg dairy and the next day I dropped it. Funny how easy it was once I knew I was facing premature sudden death like many of my relatives. Would never go back- felt younger and fitter instantly. My BMII was 23 before and now it’s below 21. Lost 14lb as a side effect even after eating as much as I want of healthful plant based food. It’s important to know the dramatic results of the wholefoods plant based diet before discounting it as vegan mumbo jumbo. I’m still not doing this to save animals or the planet, I am selfish enough to want to save myself and for my child not to lose his mother young from heart disease, as I did. I value the health-giving that the Esselstyn plan gives and I value public health and the health of our children. Esselstyn’s plan has no calorie counting, no nutrieny counting (eg no balancing carbs, protein etc). It is simply wholefoods plant-based (WFPB). I find it a lot simpler than when I did used to try eating more protein. My BP is normal again after about 10 years of high BP. If you are a candidate for heart disease or you have it already, and if you keep an open mind and give it a chance, then WFPB eating will pay dividends. It is so simple in fact that I can’t believe most doctors (myself included a few months ago) don’t know about it. Well said – I’m in the same boat as you Jen – just diagnosed with heart disease and was feeling unbelievably bad. Very few options for me and I knew nothing about Esselstyn, Ornish, McDougall etc until now. I want to be around for my kids so I’m doing what I can to survive and so far it is working. I have lost more than 14lb in a few weeks, my blood pressure is coming down and I suspect my next cholesterol test will be much better also. Most (not all) of my angina has receded after a couple of weeks and I now have days where I feel just fine. People can make their own choices about what they eat or don’t eat but I can’t see why anyone would get defensive about people being on a plant-based diet because they want to improve their life. Even if I end up having to have bypass surgery – I know I will be in better condition to meet that challenge as well. Esselstyn and Co are true doctors trying to spread a simple truth that for some reason many people find too hard to accept – they should be honored – not ridiculed. I just can’t believe this, my husband and I always ate healthy but he liked his desserts and got a bit fat so decided to do the DR Atkins diet. His doctor told him heart, cholestrol levels and blood pressure were fine! On the fat diet for two months, heart started behaving badly, cholestrol levels high and blood pressure up! Back on our normal food and no problems but took 6 mnths to a year to settle down. Many people do the Atkin’s diet improperly, eating way too much fats, through excessive consumption of cheese, butter, bacon, cream and sour cream and fatty meats. Calling the diet “the fat” diet leads me to believe this may have ben the case. The actual Atkin’s diet is quite difficult to follow when you begin adding back the healthy carbohydrates a few grams a week at a time. As we age, we lose muscle unless we do weight training to maintain it. Even a healthy diet won’t stop that with out exercise. I would also like to say that any single eating plan may not be right for every single person. If it has been followed correctly, and for a reasonable time period, and it doesn’t work, then do something else and see if it works better. Good luck and best health to you and your husband. I agree with this – depends on the person. Also Atkins does not recommend eating lots of fats for 2 months. Rather he wants you to eat more low glycaemic vegetables and good protein. And no-one ever mentions his insistence on exercise to accompany the diet. His pyramid is protein, vegetables, some fruit and some low-G carbs. No white refined anything. Claiming that fruit is bad for humans is not silly. Just because it comes from trees and is seen as ‘natural’ doesn’t mean it should be consumed all the time. Do you know what else occurs naturally? Petroleum and arsenic. Fruit has a lot of great qualities but the fructose is not such a good thing. If your diet contained absolutely no fructose from other sources, then eating fruit regularly would not be a concern. But so many foods we eat today have sugar added to them, so eating fructose filled fruit is just adding to the over consumption of fructose. I love this! So great and to the point. That’s a huge exaggeration. I’ve read Harpending’s book, and it does not at all suggest we’re not similar genetically to our Paleolithic ancestors. It does suggest that more genetic changes – some of them quite significant – have occurred over the last 10,000 years than previously believed. That’s not the same as saying we’re “not much like Paleolithic humans”. We do not know with certainty that our Paleolithic ancestors ate a lot of nuts. We don’t, in fact, know much of anything with certainty about what they ate. Read this: http://huntgatherlove.com/content/do-we-know-what-paleolithic-humans-ate. Your article makes so many assumptions I would be here all night addressing them. But for startrrs you muddy the water from the beginning by moving between “toxin IN grains” and “grains are toxins” as if those two statements are equivalent, they are not. And your fructose stance is just plain wrong. To claim that fruit is bad for you is just silly. That’s called moving the goal posts. Quantity of grain consumption is a different question than “did we or didn’t we”, which what we were discussing. So are you anticarb or antigrain? I’m not anti-anything. 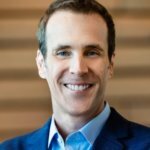 I’ve pointed out in other articles (see: http://chriskresser.com/9-steps-to-perfect-health-1-dont-eat-toxins) that grains have food toxins in them that inhibit nutrient absorption and damage the gut. In some cases, properly preparing grains (i.e. soaking, fermenting, sprouting) before consuming them can significantly decrease levels of those toxins. Quantity makes all the difference in the world. Humans are able to deal with small amounts of the toxins in grains, which is why traditional cultures in the last 300 generations that prepared them properly were able to eat them without problems. But today, almost no one in the west goes through these important steps. I put this to my Anthropology Professor last night and asked directly about the earliest hard evidence of grain consumption in man. It apparently goes back much further than even I thought to australopithecus boisei at about 2.5 million years ago. So grain has been with us since the beginning. No. The bulk of the evidence clearly shows that grains were not a significant part of human diets until about 300 generations ago. That does not mean that some humans in some places didn’t eat some limited amount of grain, but studies clearly show that grains did not comprise a significant portion of energy intake for early hominids. Um, grains have always been in our diet. That grain consumption is new is false. Take an anthropology course. And just Keys left out data, this video leaves out data about cultures that consume large amounts of grain without obesity or adverse health effects. Please provide support for the statement “grains have always been in our diet”. I’ve read several anthropology texts, and I’ve never seen such a statement. Don’t we have layers of saturated fat under our skins to keep us warm in the winter months? Thanks for your articles and podcast. Thanks, Tim. I’ve seen that review and I wrote about it in my heart disease series. I’m generally not a fan of meta-analyses, but this one certainly confirms what other individual, well-controlled trials have shown. Krauss has done some great work. The prologue isn’t particularly specious, just incomplete. Anthropological records of human remains show that pre agrarian hunter gatherers were taller, had fewer or no teeth cavities, lower infant mortality, no cancer etc. Their low life expectancy was because they mostly died of trauma (then subsequent infection)… predation, conflict with other humans. We do not live longer because of a change in diet, we live longer because 1) sanitation, 2) penicillin, 3) drop in crime. So-called “unhealthy” cholesterol levels, by which I assume you mean high total cholesterol and high LDL cholesterol, have a very weak association with heart disease. What matters much more is triglycerides, HDL and LDL particle size. And guess what? Saturated fat increases HDL, decreases triglycerides and promotes large, buoyant LDL (which does not cause heart disease). See these videos for more info. Numerous studies have been published in recent years exonerating saturated fat in the pathogenesis of heart disease. You can read about one of them here. i would love to believe this…but this argument is flawed. the prologue is particularly specious. in terms of human history, when humans did not eat grains and vegetable oils, etc. human beings lived half as long or less. we live longer now, at an unpredicted rate of longevity. cures for diseases are a cause, as is awareness in food groups….and a skeptical approach to everything…including skeptic blogs. my personal experience was that i lowered my saturated fat intake and my cholesterol level went from an unhealthy level to a healthy level. saturate fat intake was the only thing i changed in my life, and before and after, my weight and exercise regimen stayed the same. Your post contains a lot of assumptions that you need to challenge… The first is that humans lived half as long. If you go and look at the paleontological and fossil records, you will find that barring death from disease, predator, or accident it was not uncommon for pre-historic man to live into his 90s. I would really like you to introduce me to the next 180 year-old you meet. I can’t find any evidence for your statement? The opposite seems to be true – they died much younger. Perhaps we are living longer now than 100 years ago. Today I can have a MICA Ambulance (Mobile Intensive Care Ambulance – very specialised paramedics and equipment) to my door in 5 to 10 min in case of a medical emergency to stop me from dying, or to restart my stopped heart – 100 years ago I would have died if my heart stopped. Many medical advances in emergency medicine means people seriously hurt from random accidents to dangerous infections can be treated. New understanding on how infections are spread also help lower mortality rates etc etc etc. Does this mean eating grains and vegetable oils is the key to longevity? Your saturated fat consumption when down along with cholesterol? Cholesterol level (meaning what? total cholesterol? – What about HDL?, LDL?, triglyceride? I bought “Fat Head” just so I could show it to as many family members as possible! It does the trick. This little video is the tip of the iceberg. The fat-heart disease connection via the cholesterol “problem” is one in several campaigns of mass deception. The goal? Maybe to sell billions of dollars worth of cholesterol drugs along with diagnostic “services” and so forth. Today’s processed foods, bad fats, sugar and nutrient-depleted diets result in damaged arteries. Once damaged, these arteries crack and hemorrhage, which the body attempts to repair with cholesterol as a “patch.” But to blame cholesterol is to kill the messenger. It’s a shame that money and politics rule our nation’s medical system because the real people who suffer are our friends and relatives. This cholesterol scam is analogous to the fluoride scam. It’s not that we lack the science to prove the falsehoods, it’s that we lack the media oversight and there is no separation between politics and big pharma money. In the simplest of terms, natural fats are good while those created by scientists in a lab are bad. Welcome to the blog. I couldn’t agree more. See my section on heart disease and cholesterol for more. Yeah, it’s great ironic humor, and he manages to communicate the essence of the issue very effectively. Also, the faux 1950s aesthetic is awesome. Pretty funny, huh? He’s got a dry sense of humor that appeals to me.